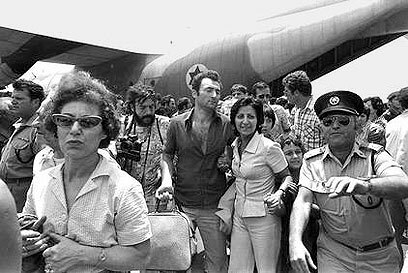 Part 2 of series: Thirty years after the Entebbe rescue mission, the wound has not healed. Questions linger about late Sayeret Matkal (IDF’s elite commando unit) commander Yoni Netanyahu’s role in operation. Even today, tensions remain between the Netanyahu family, whose memory of their beloved son has reached almost mythical proportions, and unit members, who continue to cast aspersions on Netanyahu’s functioning during the raid. In a conversation with Ynet, Muki Betzer, responsible for seizing the terminal, and Alik Ron, who served as a company commander in the reserves, delicately address this issue. They tell their version of those historical events but add a caveat. “We are an intimate unit,” they caution. According to senior unit members, the first problem was that Netanyahu missed much of the planning stage. He only returned from a training exercise in the Sinai on Thursday, two days before the mission began. As soon as Netanyahu had finished meeting the team in Ramat Gan, Betzer updated him on the detailed plan. For example, the cover story was that they were going to destroy a terrorist base in Lebanon. Netanyahu gave the order to begin training. The 32 team members were set to reach the terminal in a Mercedes and two Land Rovers. Betzer commanded the 15 fighters who were going to break into the terminal, while Netanyahu’s squad was to secure the tarmac from the direction of the control tower. With only two days to go, the unit had little time to train. Meanwhile, in addition to his other responsibilities, Netanyahu needed to locate a black Mercedes without arousing any suspicions. The recent Ma’alot tragedy weighing heavily on his mind, Chief of Staff Motta Gur solemnly approved the operation. “He kept repeating that no one should open fire before Muki Betzer’s group, that there should be no firing before that, unless they started shooting at us,” Betzer recalls. “He told Yoni: ‘I was personally wounded during the reprisal attacks in the fifties in Gaza. They shot at me from the roof. You must ensure that the tarmac is secure. So don’t open fire from the tower.’” The team got the go-ahead, and they took off on Saturday afternoon. Failure in the field: Did Yoni shoot too soon? The next few minutes changed everything. “We observed two Ugandan soldiers, standing and talking to each other,” Betzer recounts. “Then one of them left, and the second one saw us. He lifted his weapon, aimed, and yelled ‘Advance’. Yoni was alarmed and said to one of the officers: ‘Cover me.’ I told Yoni: ‘Ignore it. It’s just an exercise.’ I knew this because of my background in Uganda. When I lived there, two soldiers guarded my house. They both knew me, but nevertheless, when I would arrive, they would lift their weapons and shout ‘Advance’. Shots were immediately fired from every direction. Despite the exchange of fire, Betzer’s squad managed to enter the terminal and free the hostages. 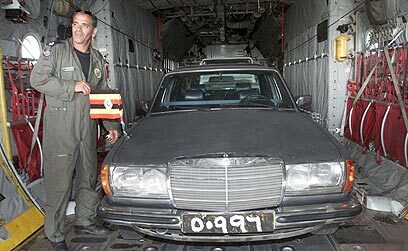 The kidnappers, who had not envisioned the possibility that Israeli forces would attempt to rescue the hostages, assumed that the shots from outside were the result of Ugandan army infighting. Thus, the Israelis were able to surprise and kill the terrorists. However, the mission was not a complete success. As Yoni Netanyahu lay dying in his friends’ arms outside, three hostages were killed inside the terminal, either by the kidnappers or in the crossfire: Ida Borovitch, Jean Jacques Mimouni and Pascal Cohen. In addition, Dora Bloch, an elderly hostage who had been hospitalized several days before the raid, was subsequently shot on Idi Amin’s orders, and paratrooper Sorin Herschko was critically injured during the assault and remained a quadriplegic. Notwithstanding the daring rescue, questions about Yoni’s death still haunt the unit. “I told the father: ‘The legendary mission is named after Yoni, who has become almost a myth himself,’” Betzer concludes. “I suggested that he leave it alone and not touch it, but he wasn’t satisfied.” As far as the family is concerned, the wound is still wide open." See all talkbacks "Special: Entebbe’s open wound"